Set for its annual running here at just above 10,400 feet above sea level here in Colorado’s central Rockies — the altitude of Boreas Pass, where all three races will start — the Breckenridge Road Marathon, Half Marathon and 10K follow a point-to-point route that unfolds along a combination of paved roads and recreational paths, all the way to the finish line in this ski resort town. What you’ll see all around as you make your way through are stunning views of mountain peaks, snow-covered trails and reminders of the railroad that once criss-crossed the mountains here between Breckenridge and the town of Como — in fact, the railroad here was once the highest-altitude narrow-gauge railroad in the country. Today, this high alpine pass welcomes drivers only and will feature the changing fall colors on the trees as you descend along the pass from the starting elevation of 10,434 feet. 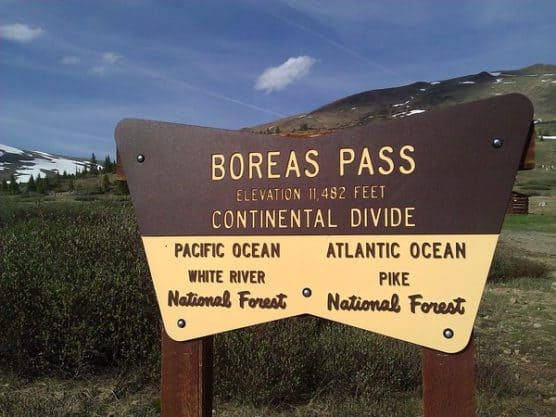 You’ll be running along the Continental Divide on this road, which was once known as the Breckenridge Pass and served as a route for prospectors looking for gold in the Colorado Gold Rush of the 1860s; it was later renamed Boreas Pass in honor of the ancient Greek god of the north wind. 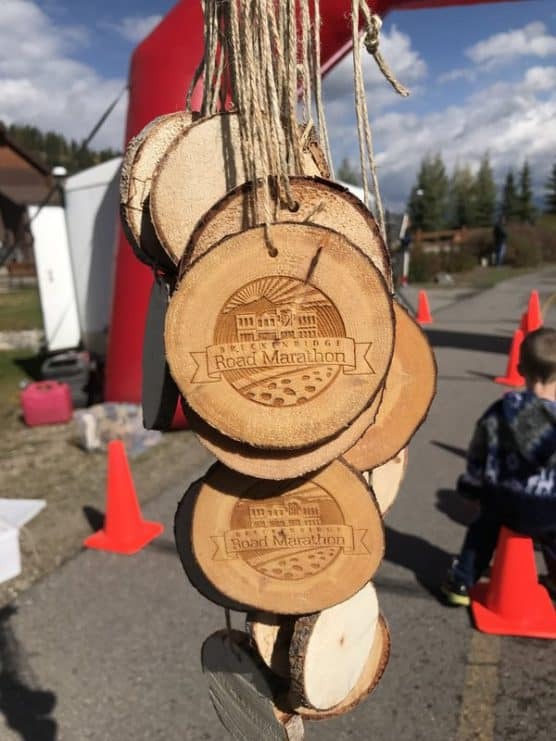 Once you make it down into Breckenridge, the finish line festival will be waiting with plentiful music, food and fun, organizers say. 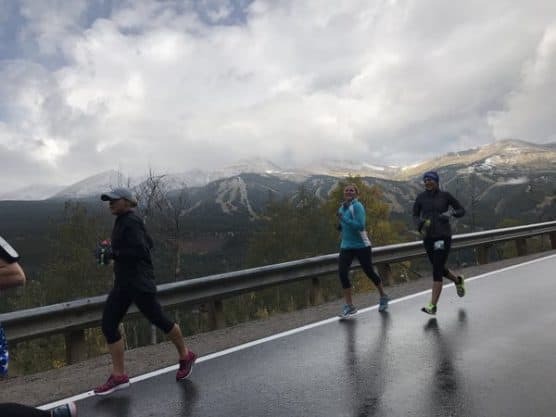 Nestled at about 9,000 feet above sea level and near the base of Colorado’s Rocky Mountain Tenmile Range, roughly 80 miles west of Denver, Breckenridge typically has seen its first snowfall of the season by the time the race rolls around, so you may see the white stuff on the ground or in the mountains off in the distance. On race day (Sept. 14), the average low is 30ºF and the average high is 65ºF. 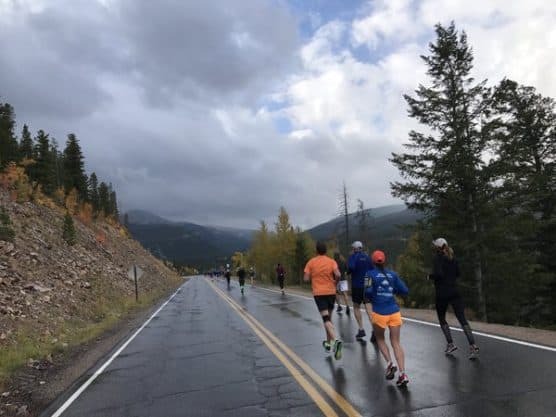 See the race route map for the Breckenridge Road Half Marathon here. 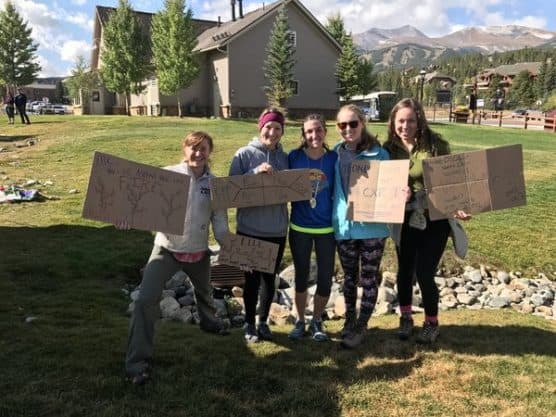 To reserve your spot in the 2019 running of the Breckenridge Road Marathon, Half Marathon or 10K race, register online at RaceRoster.com here. 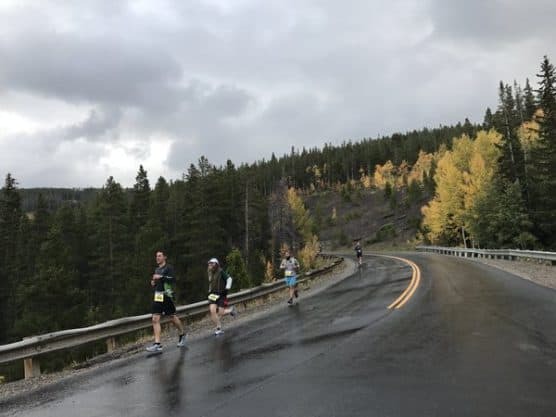 Ever run in the Breckenridge Road Half Marathon? Share your impressions here, as well as anything you learned about the race that you think other runners/walkers should know.